I think it's important to look back at your old art. While it may make you cringe (did I really used to draw like that, #yikes), there is something endearing about the exercise, and sometimes a little perspective can be the best confidence boost. 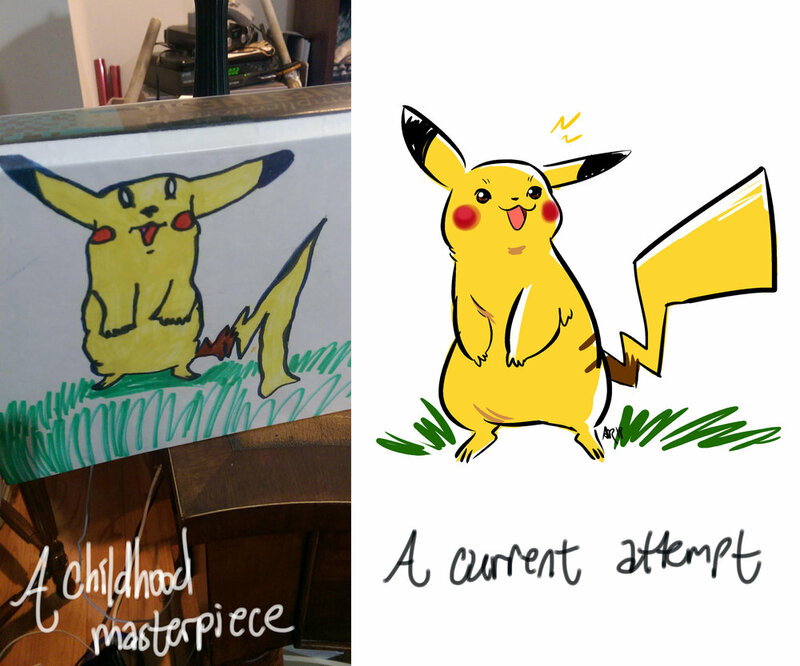 Here we have an example of a young artist obsessed with the hot-new-90s fad: Pokemon, vs a newer piece drawn 20+ years later. Seeing this artifact is especially important as the reason why it was preserved for so long is thanks to my father who has kept this doodle--and many others--tucked away in his personal affects. There's a lot of perspective to gain on your own work, when you realize that it can have an impact on other people, right?